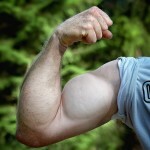 How you ever heard how serious workout enthusiasts boast about their power racks and squat racks? Either way, there’s a good reason for that! And if you enjoy versatile workout options, you might just fall in love with power racks or squat racks too. So what exactly makes this kind of equipment so special for someone? Simply said, people love the options their racks provide them – expanding the range of their regular workout routines and making it easier than ever to see real results with the minimum amount of equipment. Why Buy A Power Rack or a Squat Rack? What is the Best Home Pull Up Bar? How to Use a Squat Rack? Everyone is quick to share how much they love their power racks and squat racks, but at the end of the day, this equipment is expensive. Is it really worth the money and how to find the best power rack for the home gym? The simplest answer to that question is Yes. Not only do you save money on gym membership and additional standalone lifting equipment over time, it’s worth spending more on, but only on the best power racks and squat racks. You need these pieces of equipment to be durable. An inexpensive rack is likely made from lesser quality materials. It won’t last you very long, and it won’t give you the safety and stability you’ll get from a state of the art model. Since all the good ones are expensive, that makes it harder to find a power rack that’s going to work for you. Because the cost of the equipment is so high, it becomes difficult to distinguish the great power racks for home gym from the subpar racks. Once you understand what you need and you know what to look for in a quality piece of equipment, it becomes easier to narrow down all of the offerings and find the perfect rack for you. If you’re setting up a home gym, you won’t have much use for both pieces of equipment. It’s better to choose one. You’ll want to select one or the other, and which one you choose depends on a variety of factors. You should consider your budget and what would work best for you when making this determination. Check out full comparison Squat Rack vs Power Rack – Which One Should I Get? Power racks are generally more expensive because they’re the more versatile option. Where a squat rack is mostly designed for lower exercise, best power racks are designed to provide you with a full range of exercises – some of them even come with pull up bars or dip bars to help you take things one step further. The only downside to power racks is that, because they are so much larger, they’re generally more expensive. …how much free space do you have? Because of the size, you may have a hard time finding a place to put a power rack. They take up a lot of space, and they don’t work very well with low ceilings or cramped corners. If you’re building a full home gym, a power rack will work great if you have a place to put it. If you’re working with limited space, a squat rack will fit much better. Squat racks are great for people on a budget. You’ll be able to get some of the benefits of a full power rack for a smaller cost. They’re easier to move, assemble, and store than a power rack. If you have more to spend and a large workout area, you’re probably better off buying a full power rack for that purpose, because you’ll be able to enjoy the benefits of a regular squat rack and so much more. Owning your own power rack or squat rack brings freedom and cost-effective exercise into your home. These pieces of equipment are versatile necessities for anyone who takes their workout seriously, and many gyms don’t even offer them to their customers. Take this as an example! Power racks equipped with a pull-up bar are a top choice when it comes to finding the best home pull up bar because it provides a variety of workout options besides simple pull-ups. What do we want to say with that? Well, you need to understand that power racks and squat racks eliminate the need for a host of other workout equipment while making your strength training and muscle building exercises safer and easier than ever. You won’t need to rely on a costly gym membership if you’re able to exercise from the comfort of your own home. Having your equipment at home means you’re free to use it whenever you want. You don’t have to get ready for the gym only to rush in and rush out if you only have half an hour to spare. Over time, these pieces of equipment will pay for themselves. Since power racks and squat racks allow you to perform an extended range of exercise with a single piece of equipment, you won’t need much else to get started. Instead of a bunch of mid-range investments, one large investment will ultimately amount to less money and be easier to maintain in the long run. Power racks that are being used in commercial gyms are always a top choice for your home gym providing great value and various benefits. These squat racks have received good reviews from the commercial use sector and are suggested as top choices for home gyms. There is no doubt that every lifter will be able to benefit from having their own power rack or squat rack. This power rack boasts a lot of raw power for such a compact size. Coming in at 72 inches high, it will fit comfortably in most garage gyms, and work for people of most heights. If you’re over six feet tall, you may find that this power rack is a little cramped, but anyone under six feet will be able to make the most of it. The chinning bar is deep knurled, and strong enough to handle just about anything. This rack features 25 holes that are 2 inches apart, giving you a great number of options for its height. The holes are numbered for easy identification – you won’t have to worry about accidentally setting your weights up crooked, and it’s easy enough to remember the settings you use for certain lifts. What’s the limit of this one? Its weight limit is 1,000, making it highly unlikely that you’ll ever need to upgrade based on weight limits. The 1-inch safety pins are made of solid steel for uncompromising durability. 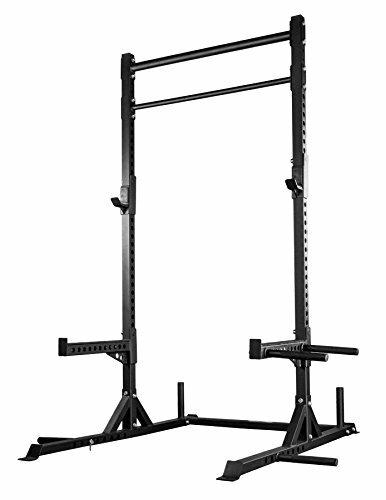 This rack will work in any home gym, and if used correctly and cared for properly, will last virtually forever. Still, you are most likely wondering, what is the best power rack to buy, aren’t you? Obviously, squat racks are ideal for squatting exercises. Outside of squats, there is a whole host of exercises you can use your squat rack for. Pull-ups, barbell bent over rows. Romanian deadlifts, power cleans, and front squats all work well using your squat rack as the central point. Place the bar and load it with weights on the squat rack below your shoulder level. Step under the bar and place it just below your neck on the back of your shoulders and grip the bar with both hands. By pushing yourself up, lift the bar for the rack and take a step back from the rack to where you can do a full squat. Keep your core tight and back straight! Bend your knees and go down to a squat position while keeping the upper-body in a straight position and head up. Return to the starting position by pushing yourself up. Keep the pressure on your heels until you straighten your legs. Take the step forward and place the bar on the rack. You can also use the squat rack for the standing overhead press, barbell lunges, deadlifts and barbell bent over row as mentioned above. A power rack will allow you to do everything a squat rack will, plus more. Many power racks also have pull up bars and lat bars to give you more options. Any barbell exercise can be done with the assistance of a power rack. Curls, barbell lifts, shoulder presses, tricep pushdowns, calf raises, chin-ups, and bent over rows are among the long list of lifts that a power rack can simplify for you. Think about the amount of space you have and what you’re looking to accomplish. If space is a serious concern, you may not be able to purchase a power rack simply because of its tremendous size. If you have a lot of space, you’ll have to choose between the two. 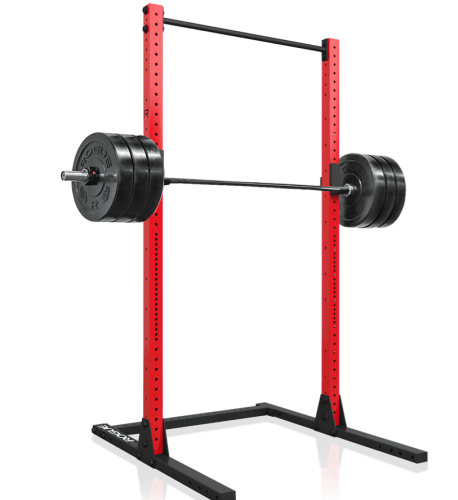 Power racks are a better value overall. They’re an upgraded version of the squat rack that offers a multitude of possibilities. You’ll be able to do anything and everything with a power rack. The only problem is, while they’re excellent value for money when you consider their versatility, some of them are extremely expensive. If your budget doesn’t account for a power rack, you may want to settle for a squat rack. …aren’t power cages better for a variety of workouts? Though squat racks are less versatile than power racks, they still come with their advantages. If you aren’t looking to do a lot of high lifting and pull-ups, a squat rack is probably all you’ll need. There’s no reason to go crazy spending a ton of money for the extra features that come with a power rack if you don’t really see yourself using them. 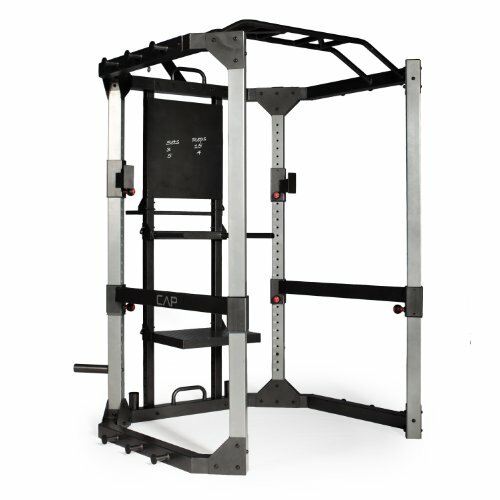 On average the price of a squat or power rack can be anywhere between USD 100 to USD 1000 and more depending on the specifics of the rack. Overall, you know what you need, your budget, your space constraints, and what you intend to do with your equipment. And think about what you really are looking for. 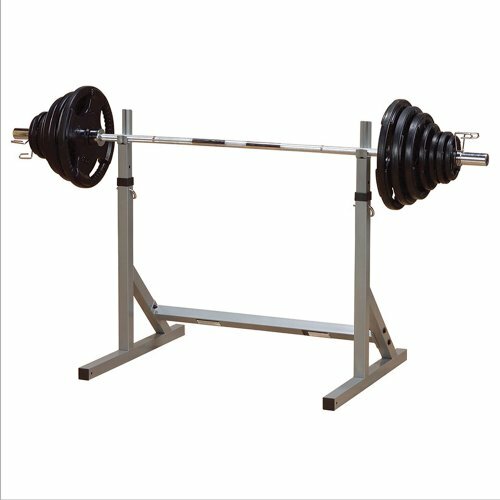 Is it just another piece of equipment or are you willing to find the best power rack for home gym? Or the best squat rack for that matter? That should help you narrow things down to your final choice. Once you know which one you’re interested in purchasing, all you have to do is select the model you want and you’ll have it shipped to you in a few clicks. With most of these power racks and squat racks, you won’t be forced to choose between price and quality. The majority of these models are at an excellent midpoint for value. Review: This power rack has a 2 x 2 main frame made of solid steel and features 4 solid steel chrome plated adjustable supports for your weight bars in addition to 4 storage pegs for weight plates. The bar itself can be adjusted in 17 different positions, you can go as low as 17.5 inches or as high as 68 inches. The utility bar for curls is foam covered for your comfort, and the solid steel pull-up bar features grips. There’s a low pulley station for both upright and seated rows, and the lat pull station features a plate-loading carriage. 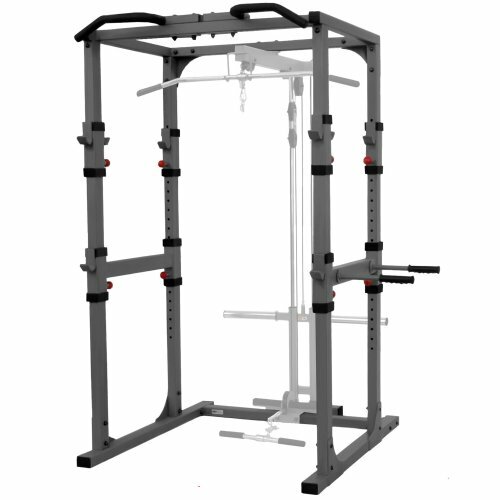 An over good, mid-range cage that will provide for versatile workout experience. The cage itself could be a bit wider, but once you get used to that, it’s all good! If you are looking for something simpler, without additional exercise equipment, the next option might be what you are looking for. Review: This power rack stands at 82 inches tall, so it will fit well in spare rooms or garages that have been converted into workout spaces. It’s 26 inches in depth inside and 44 inches wide. The hole spacing is at 2 inches inside of the rack, and it comes with a 1.25 inch and a 2 inch pull up bar. The dip handles are padded, and the user can adjust their width. A 700-pound weight capacity means you won’t outgrow this rack, and a 400 pound capacity for the pull-up bar and dip attachment mean that you’ll be able to use it as you continue to bulk up. If you are looking for a simple workout with weights, without having to worry about some complex equipment you wouldn’t even use, this is the option for you. Plus you get to choose a dip attachment or a bench to come with the rack. The option mentioned above has been getting some good feedback from users. And so has the squat rack you should now take a look at. Review: This is a must on our list as one of the best squat racks – it’s as good as they come. You’re getting a height range that spans from 30 to 60 inches. This is exactly what you need for every kind of bench press, as well as the general calf raises, squats, upright rows, and curls. Since the 2 by 2-inch frame is made of solid steel, this squat rack will be able to handle everything you throw at it. Its 51-pound weight makes it easy to transport and store. If you need to move it out of the way when you aren’t using it, it’s easy to take from one room to another. Simple, durable and easy to store and move. Excellent quality, sturdy rack for those who know what they are looking for. What’s better than a simple and sturdy squat rack? A squat rack with a pull-up bar! Review: If you’re on a budget and you’ve settled for a squat rack, then this might be one of the best squat racks for you. This one is a great combination of a squat rack and a power rack. Think of it as a power rack that’s optimized for squat exercises, rather than one that merely possesses the capability. A 1,000-pound weight capacity means that absolutely anyone will be able to use it, and they’ll be able to hold some serious weights. It features standard 2-inch hole spacing and a six-foot deep base, so you’ll never have to worry about tipping the unit. For added protection, you can also bolt this rack to the ground. You get two-foot spotter arms and lined J cups for protection. One of the best options for starting a personal home gym as it provides a variety of workout options and the quality makes it a good investment overall. However, for the absolute best weight training experience you want to be looking at power racks, that provides for a more versatile workout experience. Review: This is a solid power rack at an affordable price. It’s not as fancy as some other models, but it’s definitely what you need to get the job done. This rack offers 18 positions to maximize your customization and enough slide for you to get the full-body workout you need. The two lift offs are head tempered and there are also two saber safety rods for stability. You won’t have to worry about this one falling apart on you – this is a durable and great investment. If you know exactly what you want when it comes to workouts and you are ready to make the investment in building a better home gym, this is the go-to choice. When it comes to equipment like this, it’s the little things that make a difference. Just like with this option down here. Review: This is more than your average squat rack. Because this design is a cage rather than an open rack, you’re getting additional durability and safety because of the box design. The TDS Super Power cage is a steal for what you’re getting. The support is provided by two j hooks, which are included. They lock directly into the 1-inch solid steel safety bars. A knurled front chinning bar allows you to use the cage as workout equipment by itself. 31 holes at two inches apart allow you to select your desired setting for a total range of lifts. The unit itself measures 48.5″ x 48″ x 82.5″, so it’s easy to fit in any environment. Weighing in at 138 pounds, it may be difficult to move, though not impossible. This cage is a classic version of what a good power rack has to be. With this cage, you get what you pay for and the quality is there without a doubt. If a box-type rack is not for you or you simply don’t have the space to store equipment like that, look for open type rack. Review: This is one of the best power racks for anyone on a budget. Not only are you getting an excellent price, but this power rack doesn’t compromise on the quality. New York Barbells takes pride in the gym equipment they make, and this rack is no exception. The bold numbers along the 31 holes make it easy for you to set your safety pins and solid J hooks, which are included with the rack. Though the rack doesn’t come with Olympic bars and plates, that’s fine for the price. You’d have to buy them to supplement most other power racks anyway, but you’ll have more money left in your budget to purchase additional components to complete your custom power rack. Does not take a lot of space and gives you the freedom you are looking for when working out. If you are not looking for heavy duty use, it is definitely a good option. Of course, we have to mention at least one more classic squat rack. In this case, it is a combo of a squat and bench press rack. Review: Don’t be too quick to judge this squat rack based on the price. This is a value model, but we still think it’s one of the best squat racks and it’s excellent for a beginner. If you’re new to using a squat rack, you won’t want to pay twice the price for a heavy duty rack that’s intended to handle workouts at an intensity you can’t yet reach. With a modest top weight limit of 475, even some intermediate users will find that Valor’s squat rack is enough for them. 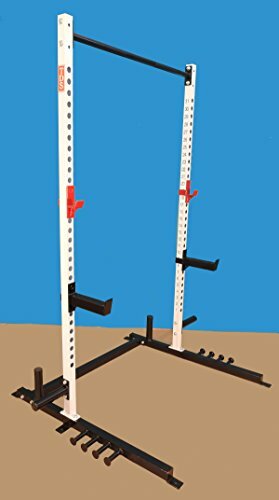 Simple and sturdy its construction, this rack has 41-inch posts and a 5 inch back plate to catch your bar while you’re going back to stand. It’s safe, it’s secure, it’s a great price, and best of all, it’s an excellent value. A great choice for beginners with its simple construction and modest weight limit. But for a home gym and someone who’s not a proffesional, this is a great choice. Ok! Now let’s get really serious and look at some high-end pieces. Review: This power cage is not for the faint of heart. If you’re a serious enthusiast and an experienced lifter, there’s no use in bothering with plain racks that won’t allow you to expand the range of your workout outside of average lifts. That’s what XMark is providing with this Power Cage. There’s nothing you can’t do with this frame. Outside of its heavy-duty scratchproof steel construction, this rack is a total powerhouse. There are 24 adjustment holes at two inches apart, which is exactly what most lifters need. Four pairs of U-Shaped bar catches serve as assists and storage for your barbells. If you’re looking to take things to the next level, XMark also makes attachments for this model. 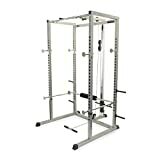 This power cage is already set up to hold a lat pulldown attachment and a low row attachment. 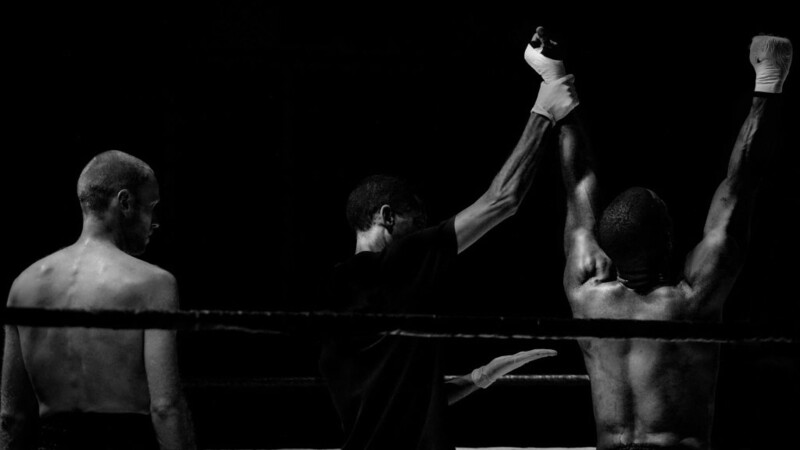 If you want to step up your game and boost your intensity, XMark gives you the option to go even farther than before. When you feel like you’ve outgrown this cage, you can always up the ante. Well, this is where it becomes serious. It is the kind of investment you have to commit yourself to. But if you choose this machine, there is nothing stopping you from getting versatile, overall body workouts done. So you think that was good? Take a look at this power cage which actually seems to come from another planet. Review: This is one of the most heavy duty, all-inclusive pieces of equipment on the market. It’s more than just a power rack, it’s an entire fitness cage. Essentially, this piece of equipment serves as the basis for an entire gym. 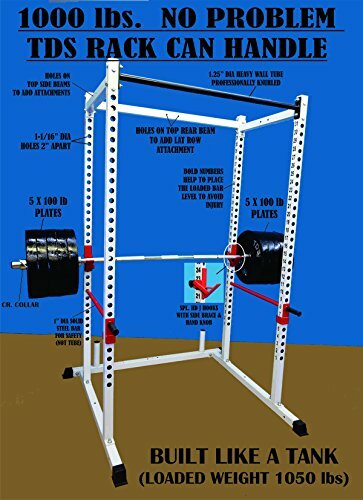 It comes loaded with an 8-position multi-grip station for chin ups and pull ups, 6 high assist band posts, 6 low resist band posts, 2 Olympic weight plate storage posts, 2 Olympic weight bar storage receivers, a hanger for a heavy bag, a stat board, a ball target, adjustable storage shelf, dip and knee raise platform, plyo jump platforms, and several dozen rubber lined adjustable safety spotters and bar catches. There are also 2 loop anchors that you can use for resistance bands, rope training, or suspension and a water bottle holder. You may get sticker shock looking at the price of this product, but when you think about it, it’s an excellent value. You can’t beat everything you’re getting. 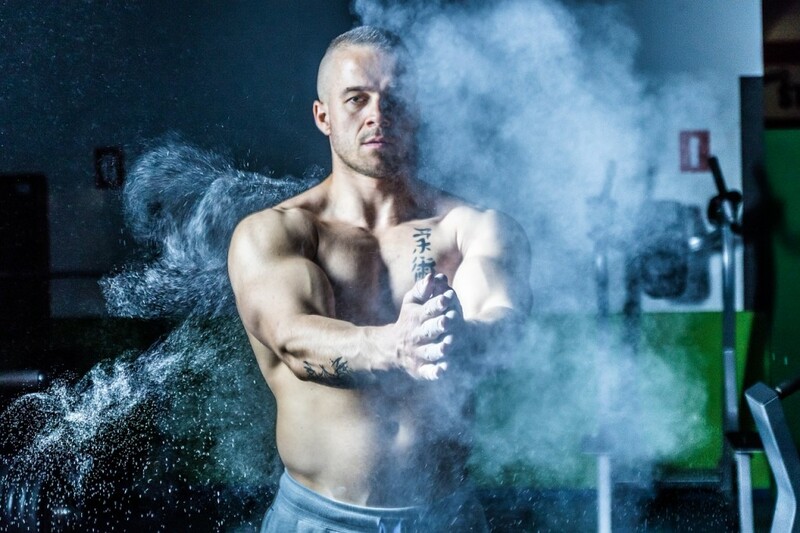 You’re paying for a lifetime supply of comprehensive full body workouts. One of the best all-in-one pieces of equipment you can find. Of course, it takes a serious investment, but it delivers something no other cage could. Let’s be honest, we know one of the best power racks are made by Rogue. No list would ever be complete if we didn’t mention any power racks and squat racks by Rogue. Check out my top 5 recommended racks which are available only in Rogue Fitness. Review: Available in ten different colors, the RML-490C is one of the best Rogue Fitness customer reviewed pieces of equipment in this particular category. Wedged between the 390C and the 690C in terms of price range, this particular rack offers industry-leading performance at a reasonable price. Built in the USA, this particular rack stands out from the competition – literally. The unique color options are all fantastic and certainly eye-catching. However, the 490C isn’t just eye candy. Weighing in at 340 lbs., the 11-gauge steel uprights are forces to be reckoned with. It also comes with a ton of extra features including Black Zinc bolts and fasteners, a pair of Monster Lite J-Cups, a set of Pin/Pipe Safeties for squats, bench, and rack pulls, a pull-up bar, and band pegs for additional resistance workouts. An almost universally loved product, the 490C certainly has a lot going for it. It really is a near-perfect power rack for a home gym that will also withstand the test of time. Definitely a very impressive Rogue Fitness power rack – can’t go wrong with this one. Review: This just might be the best Rogue power rack for a home gym – it’s certainly a great option for people who want the convenience of a professional quality power-rack but have limited space. Designed with optimal space efficiency in mind, it also boasts the same sturdiness as the rest of Rogue’s Monster Lite line. The RML-3WC uses a unique hinge-and-pin system that combines durability, strength, and ease of use. There is a big difference between this particular unit and other fold-back power racks that are usually made with thinner steel. 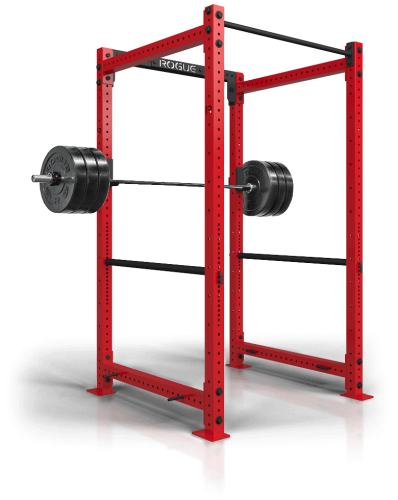 Another nice feature of this particular power rack is that it comes with 11-gauge steel stringers with any custom color order. With eleven different color options to choose from, customers have a ton of creative input. 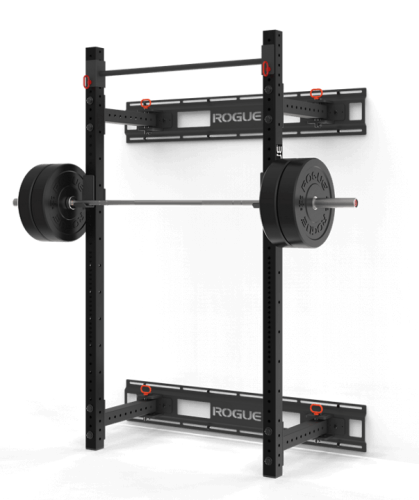 Rogue has created a fantastic product that is both extremely durable and less bulky than many other power racks on the market today. 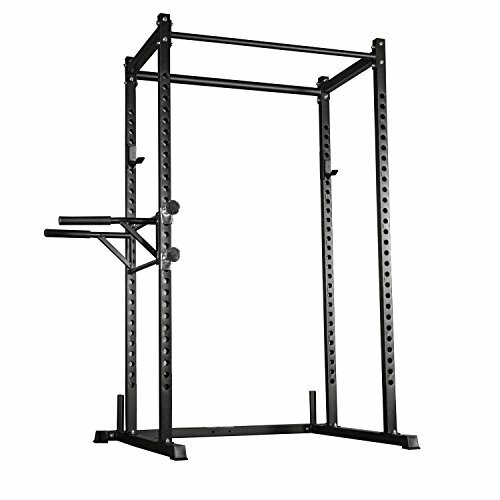 This is a perfect purchase for those wanting to maximize space in a home gym without sacrificing quality or performance. Review: The R-3 also features 11-gauge steel uprights and was designed to offer extreme durability and versatility. It also is more compact than other power racks in the R-Series, which means it performs well in both commercial and home gyms. The inside depth of the R-3 is 24” for a total size of just 53” x 34”. It also comes with a ton of extras including bolts and fasteners, pull-up bar, Infinity J-Cups, and band pegs. This particular product also comes with a lifetime guarantee from Rogue. 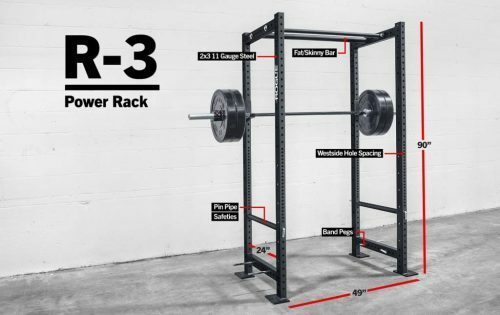 The R-3 is a beautifully constructed power rack that is also extremely versatile. 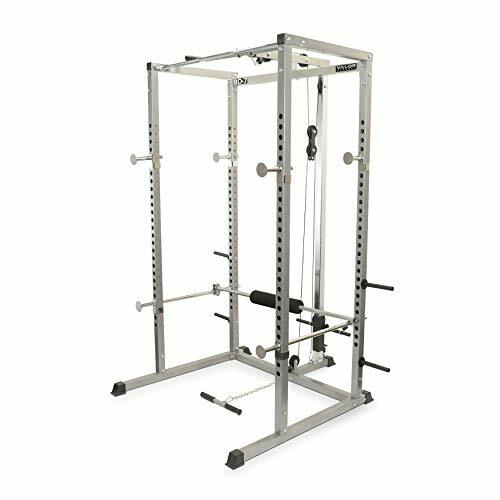 Whether you are looking to add a power rack to a commercial or home gym, this unit comes at a great price and is rock solid. In my opinion, it is the best Rogue power rack on the market today. Review: Although this isn’t a Rogue Fitness folding squat rack, the SML-2C IS my pick for the best Rogue squat rack overall. Available in 11 colors, the SML-2C offers strength and versatility galore. Rogue has created a sturdy and durable product that is also compact enough to prevent space issues. The triangle-plate base ensures maximum stability for a wide variety of exercises. It is equipped for squats, bench, pull-ups, floor press – and more! Easily one of the best values overall as far as Rogue Fitness squat racks are concerned. 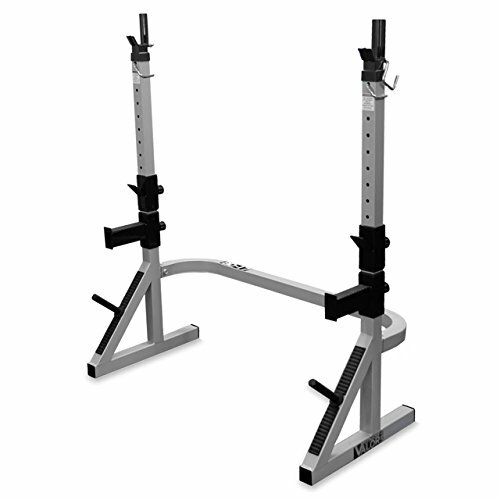 Not your typical Rogue Fitness wall mounted squat rack, the SML-2C is sleek and very versatile. This particular squat stand really stands out from the competition – pretty much everything about it is first class. 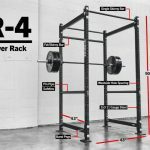 Review: The older brother of the previously reviewed R-3 power rack, the R-4 provides more space inside the rack while taking up a bit more space outside of it. It still is compact enough to work in a home/garage gym and provides users with a ton of fantastic features. My favorite thing about the R-4 is the inclusion of the extra pull-up bar – the R-3 doesn’t have quite enough room to fit that in. Having the option to switch back and forth between the single skinny bar at the front and the fat/skinny bar at the back is a really nice. Like the R-3, this unit also has a lifetime guarantee and comes with heavy-duty hardware and a variety of attachments and accessories. 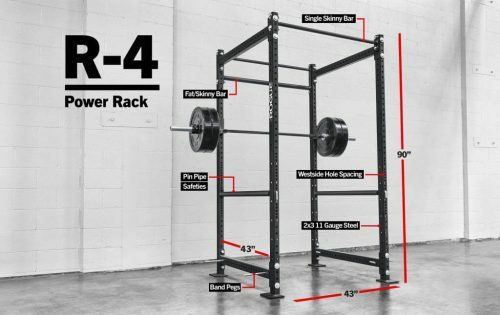 The R-4 is perfect for lifters who want a bit more space to move around inside of the rack. The lifetime guarantee offers total peace of mind while the extra pull-up bar provides an added layer of use during a workout with 1-2 partners. This is it! Now it is your turn to make the decision. 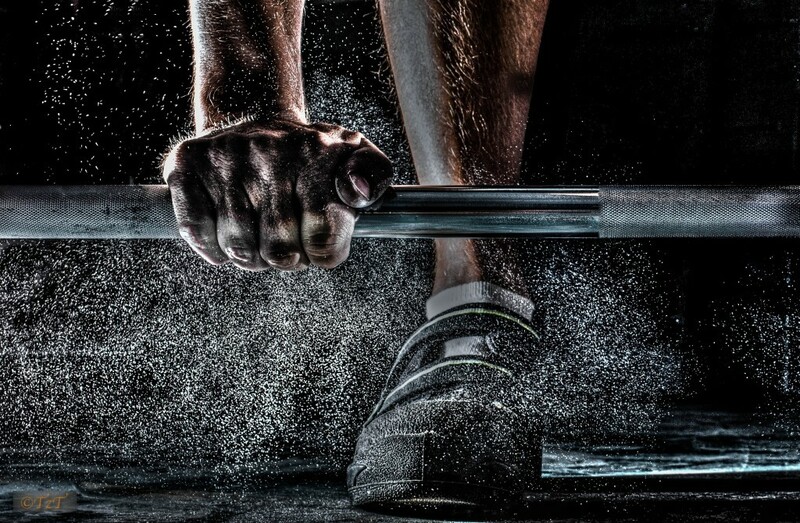 Choose the best power rack or best squat rack what fits your needs and qualities most. A power rack or a squat rack with additional equipment for workouts in a top choice for compact home gym equipment. You can perform a variety of straight training workouts on both power rack and a squat rack, while the equipment itself takes up the space of a single piece of equipment. Keep in mind that you always have to take all safety precautions to avoid injury and achieve maximum results. Therefore such things as a lifting belt can come in handy as well as other additional equipment. Take a breath and hold it, to place the belt around your waist so that it braces your abdominal wall. Now draw the belt tighter to where the braced abdominal position is just slightly restricted. You can now breath out and see if it feels comfortable without restricting your movement too much. If the belt is too tight and restricts a full contraction of your abdominal wall, loosen it up for better movement and best results. The one thing to understand when choosing equipment for your home gym is that you need to INVEST SMART! This means you want to look for equipment that is versatile enough to give you some freedom with working out. And both power racks and squat racks can provide you with exactly that. So make the decision on which of the options listed above fits you best and go all in with your home training program. If you have any more questions regarding power racks, squat racks or anything related to them, feel free to leave us a comment or contact us and we’ll get back to you ASAP.